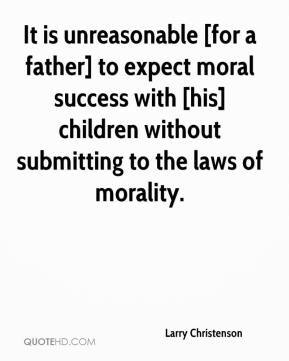 It is unreasonable [for a father] to expect moral success with [his] children without submitting to the laws of morality. My father has actually been very strict about it. 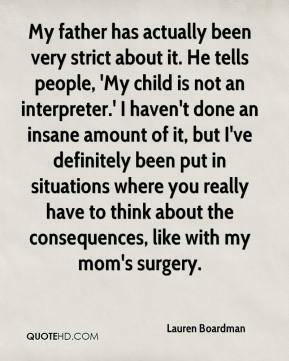 He tells people, 'My child is not an interpreter.' I haven't done an insane amount of it, but I've definitely been put in situations where you really have to think about the consequences, like with my mom's surgery. As a father, I also want to make sure that my kids have the same chances for success that I have had. 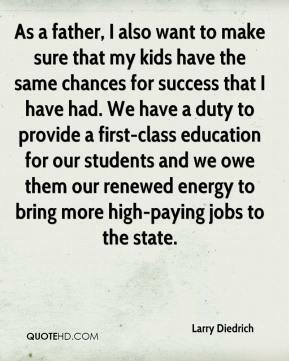 We have a duty to provide a first-class education for our students and we owe them our renewed energy to bring more high-paying jobs to the state. I was so emotionally distraught. 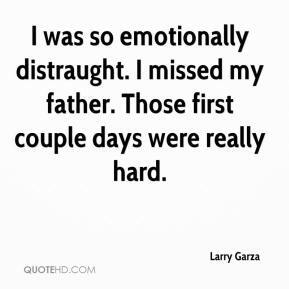 I missed my father. Those first couple days were really hard. 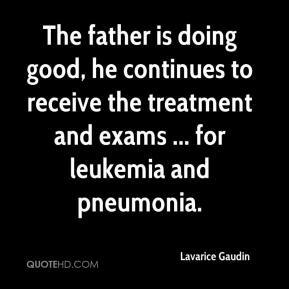 The father is doing good, he continues to receive the treatment and exams ... for leukemia and pneumonia. 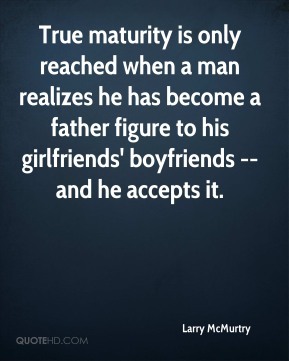 True maturity is only reached when a man realizes he has become a father figure to his girlfriends' boyfriends --and he accepts it. 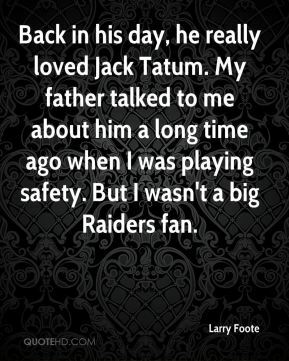 Back in his day, he really loved Jack Tatum. 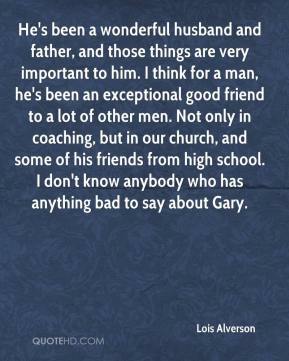 My father talked to me about him a long time ago when I was playing safety. But I wasn't a big Raiders fan. 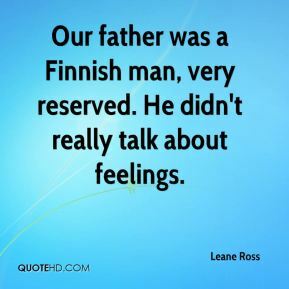 Our father was a Finnish man, very reserved. He didn't really talk about feelings. 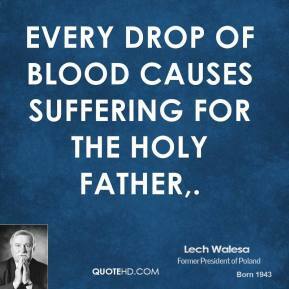 Every drop of blood causes suffering for the Holy Father. It's kind of her asking her father why he did this. 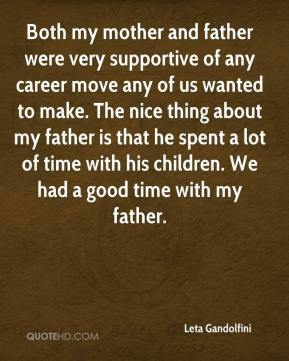 Both my mother and father were very supportive of any career move any of us wanted to make. The nice thing about my father is that he spent a lot of time with his children. We had a good time with my father. 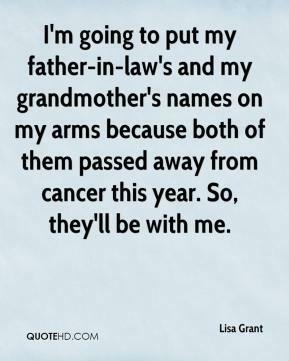 I'm going to put my father-in-law's and my grandmother's names on my arms because both of them passed away from cancer this year. So, they'll be with me. 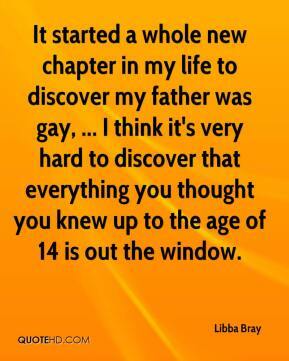 It started a whole new chapter in my life to discover my father was gay, ... I think it's very hard to discover that everything you thought you knew up to the age of 14 is out the window. By pleading guilty to these charges, our father has once again sacrificed his own interests for us. 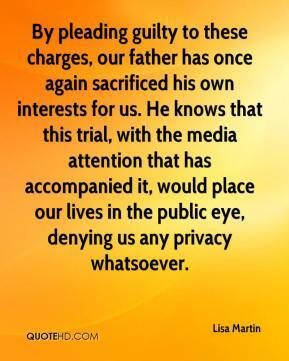 He knows that this trial, with the media attention that has accompanied it, would place our lives in the public eye, denying us any privacy whatsoever. 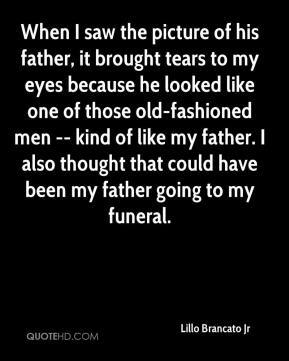 When I saw the picture of his father, it brought tears to my eyes because he looked like one of those old-fashioned men -- kind of like my father. I also thought that could have been my father going to my funeral. 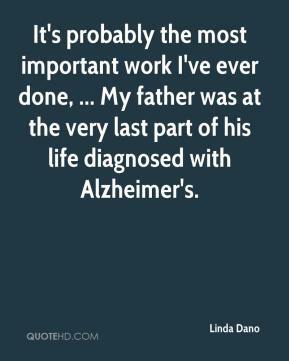 It's probably the most important work I've ever done, ... My father was at the very last part of his life diagnosed with Alzheimer's. 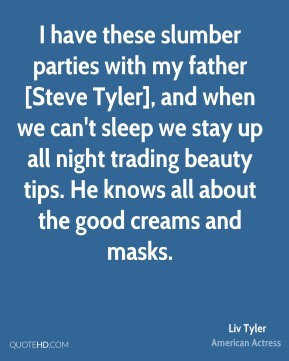 I have these slumber parties with my father [Steve Tyler], and when we can't sleep we stay up all night trading beauty tips. He knows all about the good creams and masks. 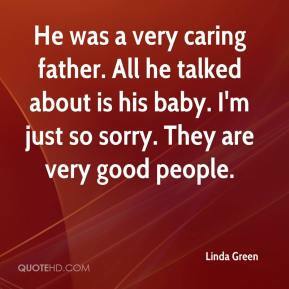 He was a very caring father. All he talked about is his baby. I'm just so sorry. They are very good people. My uncle was a father of four and friends to many in San Jacinto and Hemet. 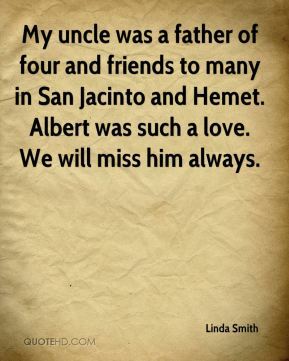 Albert was such a love. We will miss him always. 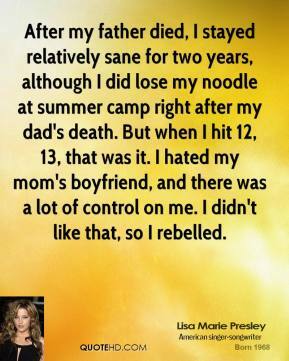 After my father died, I stayed relatively sane for two years, although I did lose my noodle at summer camp right after my dad's death. But when I hit 12, 13, that was it. I hated my mom's boyfriend, and there was a lot of control on me. I didn't like that, so I rebelled. 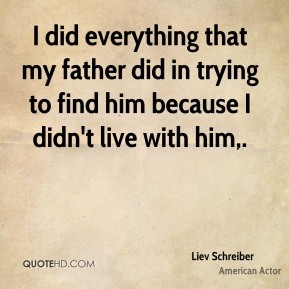 I did everything that my father did in trying to find him because I didn't live with him. 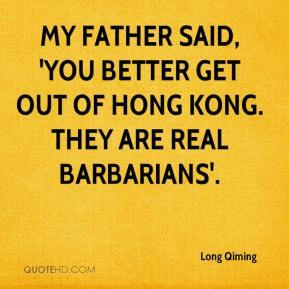 My father said, 'You better get out of Hong Kong. They are real barbarians'. My father and mother were killed by the Japanese. 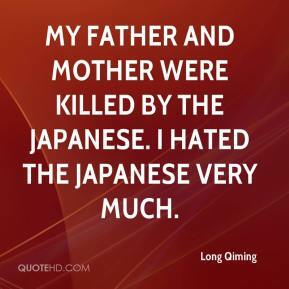 I hated the Japanese very much. 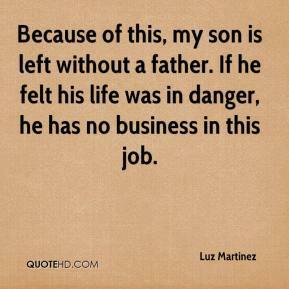 Because of this, my son is left without a father. If he felt his life was in danger, he has no business in this job.